Which Brand Is the Best Radiant Barrier Insulation on the Market? What makes ARMA FOIL™ the best radiant barrier material available? We often get questions about how our radiant barrier is different from other brands or why someone should choose our material over another. In the paragraphs below, we will lay out the reasons why we believe ARMA FOIL™ is superior to the other radiant barrier types out there. Obviously we are biased, however we wish to present you with as much information as possible so that you, as the consumer, can make an informed decission as to which product to use. The single biggest difference between ARMA FOIL™ and the other products on the market is that the others are laminated. 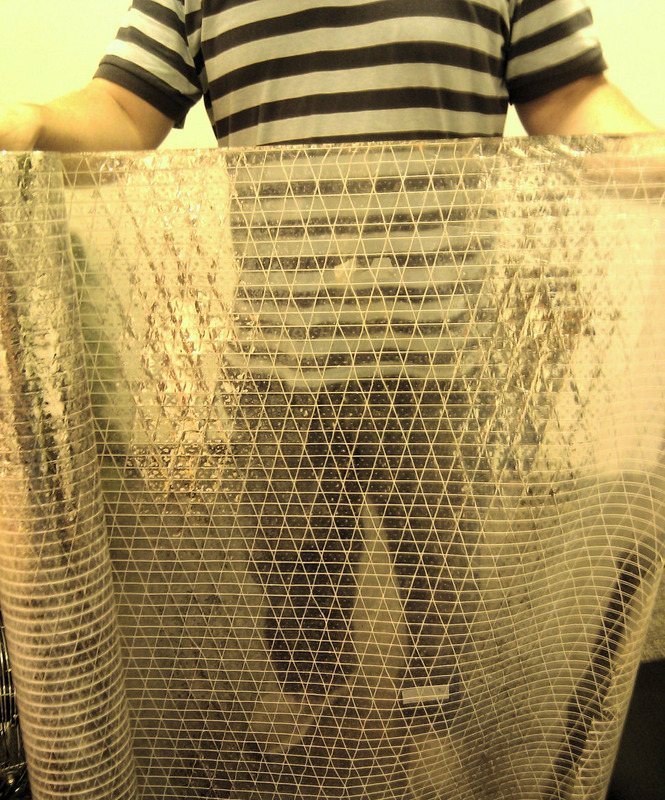 In a lamination process, the foil is either simply glued on or heat laminated to the plastic lining. Both of these processes will eventually fail. With some products you can peel the foil off the plastic right out of the box, with others you have to leave it in the attic for several years before you can easily peel it off. In our process, the aluminum is vapor deposited directly onto the plastic lining in a vacuum chamber. The bonds between aluminum and plastic happen at the molecular level which creates the strongest bond possible. The only way to separate the two, is to sand the aluminum off. A material that has completely oxidized. Another difference between various products is how the aluminum is protected. If a material is claiming 97% reflectivity or an emissivity value of 0.03 then it has no protection. Without this protection, aluminum will oxidize loosing its ability to reflect heat. As the surface of the foil begins to oxidize, it turns cloudy. If it continues and oxidizes all the way through, it will actually turn clear. The picture to the right is an example of a material that has completely oxidized. We take measures to ensure the quality of our material. In fact, multiple samples from every production run of ARMA FOIL™ are tested in a humidity chamber to ensure that the oxidation coatings are complete and properly protecting the foil. Most vendors tout the thickness and weight of their product claiming that it is heavier and stronger than others. Every few years, they add a few mils of thickness to the plastic to claim thicker and heavier materials. For a long time, it was generally true that thicker materials were stronger. However, advances in technology have led to lighter weight yet stronger materials. This is true in all sorts of products from bicycle frames to tennis racquets. Heavier no longer equals stronger, nor is it desirable in most products. ARMA FOIL™ is made at nearly half the thickness and only 2/3 of the weight of the heaviest product available, yet it is more resistant to tearing. Our lighter weight rolls are much easier to handle in attics and crawl spaces. ARMA FOIL™ passes ALL of the current codes including the ASTM E84 fire test under the new mounting method (ASTM 2599). Several of our leading competitors can't make this claim. In summary, there are many material differences that make ARMA FOIL™ vastly different than the other aluminum foil radiant barrier types on the market. Doing a bit of research into the material before you buy will often make the difference in the success of your project. If you have any questions about our material, please give us a call.